We would like to draw your attention to the possibility for you to sign up for the project “Made in Italy/Made by Italics Italic culture in art, music, design, fashion and gastronomy,” promoted by Schola Italica in collaboration with the Department of Historical Studies of Università degli Studi di Milano. 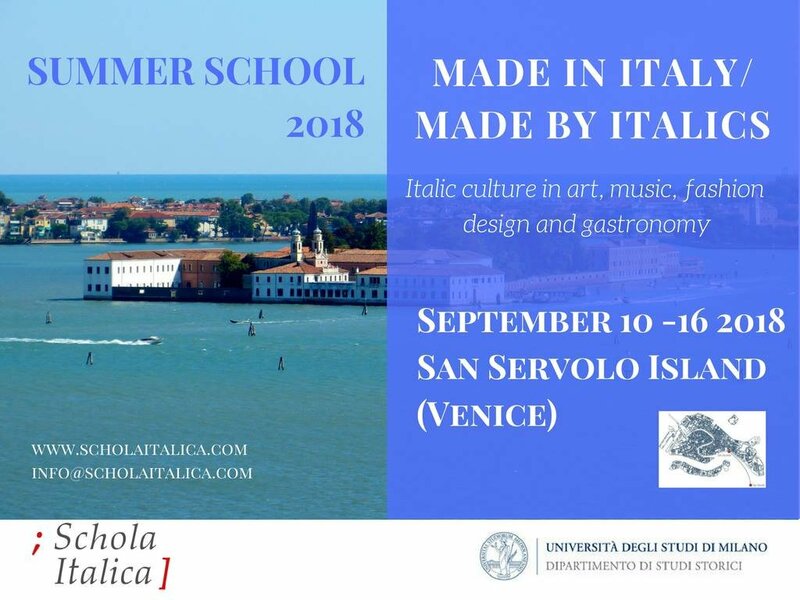 In the suggestive context of Isola di San Servolo in Venice, from Monday 10 to Sunday 16, September 2018, the Schola will organize a summer school focused on five thematic areas (art, music, fashion, design and gastronomy) through which will be presented, examined and discussed the prerogatives that have permitted the confirmation of Italian excellence at a global level. The course targets undergraduate students, graduates and professionals coming from diverse disciplinary backgrounds, wanting to enhance their CV. What are you waiting for? Come and apply!